Click a subject category to access related links of interest in that category. Including recipes, publications, and nutritional information. Contains information on food inspection, fish inspection, animal/plant health, corporate affairs, acts, regulations, and related sites. Dietitians of Canada supports its members to take action to improve health through food and nutrition strategies - shaping policy, providing services, and encouraging research. Marketing site for the Blond d'Aquitaine breed. ... is an international association of more than 12,000 veterinarians who treat companion animals. "Meeting information needs from birth to beef"
Site contains members directory, breed standard guideline, and characteristics of the breed. Members are responsible for over 90% of the fresh produce sold in Canada. The purpose of the Canadian Red Deer Association is to promote, encourage, and develop the Red Deer and Red Deer Hybrid industry. Canadian Swine Exporters Association is a National Association representing the Canadian swine Industry and our members are responsible for 90% of the export sales internationally from Canada. ... is working to develop and promote the use of renewable transportation fuels, such as ethanol-blended fuels and biodiesel, so we can all enjoy a beautiful environment. Animal welfare, pet food certification, career and education in veterinary medicine. Listing of fairs and dates for Canada and the United States. The Association's goal is to make employers and workers aware of safety and health hazards and help them to follow British Columbia's Occupational Health & Safety Regulations for Agriculture. Information on membership, plant materials, landscape products, trades, and a horticulture review. Provincial association of hog producers. For over 30 years we have served hog producers and worked closely with industry partners and governments to build a prosperous pork industry. Loads of information on Strawberries, Raspberries, and Blueberries. When to buy, how to select and the Berry cookbook and recipes. The OF & VGA is made up of a number of sections (ie. human resources, research, crop protection, property, vegetable, tender fruit, apple) which address issues pertinent to the specific membership and the horticultural membership as a whole. The Ontario Plowmen's Association (OPA), in co-operation with the many county or regional plowmen's associations in the province have sponsored the International Plowing Match and Farm Machinery Show since 1913. Provide a primary contact for the wholesale and retail produce trade in Ontario to support, encourage and foster cooperation between all segments of the produce industry from producer to consumer. Sire Referencing is a viable method of improving the performance level of your flock. It is a farmer owned and managed grass roots democratically run program that focuses on crop and process improvement for farmers, processors and manufacturers. OFMA provides advocacy for certified organic farmers in the US, Canada and Mexico, and operates private Production Sector Websites as a marketing and production service for them. The role of the association and the WWW site is education, research and documentation, and service. Provide improved crop varieties and marketing support to our members, who bring these varieties to Canadian farmers. Offers technician service or owner tester programs for commercial or seedstock swine operations, carcass evaluation programs and genetic evaluations. Further information on the industry and participating organizations will be incorporated into this site on an ongoing basis. Biotech Rumour Mill, Boston, MA, U.S. The Biotech Rumour mill looks at the goings on in the Biotech industry. Latest tidbits of information, scandal, gossip, www site updates etc.. Extremely informative site. Of interest to agricultural and biosystems engineers. Offers a range of services including information referrals, a monthly fax newsletter, a regional network of experts, a website and issues management activities. Offers researcher-entrepreneurs in Quebec and elsewhere, an environment conducive to their research and development activities, while promoting the acquisition and transfer of management skills. Contains monthly newsletters, publications, and information on member organizations. ..., what we do, and where you can find us. Created in 1972, CIGI is the market development offspring of the Canadian Wheat Board (CWB) and Canadian Grain Commission. A non-governmental, non-profit organization for scientists, engineers, technologists, administrators and students involved in professional soil science. It also hilights special crops grown in western Canada, such as flax, linola, peas, lentils, mustard, beans, sunflower, safflower, spices and other alternatives. The best web sites for corn in Canada and the world. Distributes numerous publications from its national office on such topics as food safety, the urban use of pesticides, the history of pesticides, alternative pest management methods and a quarterly newsletter containing current industry events. Site dedicated to information for newcomers to the hemp cultivation industry. Short series on how the plant can communicate. Includes information on foliar feeding, corn, wheat, soybeans and others. Committed to state-of-the-art products, services and innovative technologies that deliver efficient and effective solutions to agricultural production problems, with an optimum benefit/risk ratio. A dynamic database-driven site including nutrition, growing methods, recipes, tips & trivia, and frequently asked questions. The Ontario White Bean Producers is an agency marketing board representing approx. 2000 white pea bean farmers in Ontario. Ontario produces 90% of Canada's white pea bean crop. Students from the faculties of engineering, food science, crop science and agricultural economics and business are invited to put forward innovative project proposals. Tobacco is worth $48 million to Elgin Farmers and another $168 million in Halden and Norfolk counties. Its a vital crop to the local economy. This site may help growers here and around the world. is a nonprofit organization that develops export markets for U.S. corn, grain sorghum, barley and their related products. Wacky Wheat at your command! Hang out with me in Kansas Wheat Country. Cruise a Kansas Wheat Farm, eyeball a Prairie Skyscraper, chill out with Super Trivia, and check out the latest in Flour Power fun and games. General information on the conference and contact information is included. Contains events, recipes, cheese of the month etc. Devoted to dairy industry, research, publications, animal health etc. Contains newsletters, factsheets, research reports, and a staff directory. "Many people have a great effect on the dairyman: wives help them, little boys follow them, the department of Agriculture confuses them, city folks visit them, salesmen detain them, meals wait for them, Farm Bills depress them, but only Heaven can stop them." A nicely done dairy page. The thousands of documents on the site represent a small subset of EAP's collection of information supporting the transition of Canadian farmers to more sustainable practices. ... with links to many hydrogeological sites. List of nearly 100 environmental listservs. Home page of the 2100 member GROUNDWATER Mailing List. Hands on participative training courses in farm business management delivered locally throughout Ontario and upon request. This site includes information on setting up your business, how to collect goods and services tax, exise taxes and excise duties and payroll deductions. Information on this national program including structure, schedule, and application procedures. A listing of prime federal and provincial government sites, useful federal government departments, key federal documents and international organizations. The Federation's purpose is to act as a body through which the concerns of farmers can be aired, the efforts of farmers coordinated, and farmers' common interests promoted. A federal body which oversees national supply management agencies. These agencies control the supply of chicken, turkey, eggs, and broiler hatching eggs in Canada. Includes documents on a variety of topics, including: crops, soils, livestock, management, marketing and statistics. Includes some links to other Internet resources, some Saskatchewan Agriculture and Food publications, such as: Extension agrologist report, Farm and food report, AgBits. Site includes member profiles, country-by-country information on Saskatchewan's trade, explanations of members' benefits, an events calendar, subscription for the STEP mailing list and an internal search engine. ... in the UK also have a new page online. Transcripts of a 1996 USDA Animal Health Inspection Service symposium on BSE and other Transmissable Spongiform Encephalopathies. Provided by Dairy-L's Mark Varner the material features risk management associated with TSE's; the current science on tissue, distribution, inactivation and transmission of TSE's; and procedures used in the animal rendering industry. Included is a presentation describing implementation of HACCP concepts in the rendering industry. is the largest research institute in the United Kingdom dedicated to the health of farm animals. ...and Horse Aid Home Page. The World's Largest All-Breeds Registry. Also a horse rescue group resource. Contains the latest news, industry background, regional associations, expert opinions, and related links. Contains information on the federation, industry news, coming events, membership, classified ads, free draws, and related links. Another site rated among the top 5% by Point Communication. This is the ultimate site for horse lovers. Traces everything horsey from the first horse to Attila the Hun to the National Cowboy Hall of fame and assorted rodeo links. Strong content, outstanding photos, history of racing etc. The AGRI-RURAL PORTAL is here!! This is the "best" web site of its kind for the SD&G rural and agricultural inhabitants. We have made a "one-stop" shop for you. You will find a "Community Calendar", "Local Markets", "Agriculture & Rural Education & Training", "Facts & Stats" data on our SD&G region and much more. There is also a "Kid's Stuff" page! This has been a year long project for the Canadian Rural Partnership. Contains recipes, facts, educational resources, childrens activities, press releases, and an eggspert section. The marketing agency for Western Canadian wheat and barley growers. The Ontario Wheat Producers' Marketing Board was established in 1958 by a vote of wheat producers. Agricultural Commodity Corporation (ACC) is a non profit, producer managed organization, incorporated in 1992 to provide the best possible financial services and/or information to Ontario farmers. A comprehensive list of Canadian agricultural resources on Internet. Informaiton on the people, mission, central animal facility, and the animal care commitee. Also has a calendar of events, free courses offered, and links to related sites. A Christian-based food aid and development organization that collects donations of grain, cash and other agricultural commodities for distribution to the world's hungry. Contains breed pages links, and contact information. The hottest new information, sizzling recipes and the largest selection of mail-order fiery products in Canada! In 1979, George Atkins sent out the Network's first radio scripts to 34 participants in 26 countries. Now, more than 1,500 participating members receive our quarterly package of radio scripts and other development information. A network of computer systems linked together electronically to share farm management information. Developed by the Canadian Farm Business Management Council. Users can telnet to the FBMInet BBS in Alberta (national site) from this site. Also included are downloadable Farm Income Stability Program (F.I.S.P.) and NetTerm software. Facilitates the exchange of ideas among members amd expedites the transfer of knowledge. News, history of the match, and upcoming sites. Ag sites. listservs, news groups, etc. D'ailleurs, Le Bulletin demeure l'outil de référence pour plusieurs personnes de l'industrie agricole et agroalimentaire. US national agricultural resource. Also provides a gateway to national member organisations. Site includes a business plan, discussion forum, articles, contact information and how to order tags. A tool enabling Ontario agricultural organizations to communicate and share information. The Ottawa Organic Farmers' Market is open year round Saturdays from 10am to 2pm at Kingsway United Church, 630 Island Park Drive @ the Queensway. Federation uniting 9 provincial institutes of agrologists (PAgs) and 9 scientific and agriculture-related organizations. Publisher of Canadian journal of animal science, Canadian journal of plant science, Canadian journal of soil science, Canadian journal of agricultural economics, and Volume 3 of Biology of Canadian weeds; some of these titles have table of contents information on the site, as well as information about them. Site includes the newsletter National report, and links to member organizations. AgNIC is a distributed network established by the National Agricultural Library and libraries and academic departments at several land-grant universities. It is a focal point for access to quality agriculture-related information and subject specialists. Contains information about CPC, issues, codes of practice and related links. Contains straight answers to tough questions about hemp and marijuana. Membership is open to any person interested in the science or practice of plant pathology. Encourages research, education, and the dissemination of knowledge on the nature, cause, and control of plant diseases. link to Citadelle co-operative, one of the largest Maple Syrup groups in Quebec. Recipes, FAQ's and the History of Maple Syrup in Quebec are some of the informational tidbits available. Details on a organization that represents 300,000 family farmers and ranchers in 24 States. 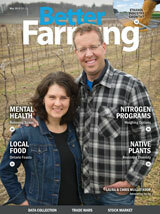 Includes: News and Info, Issues at a Glance and Farmers Union Directory. Information on the vision, purpose, objectives, executive, membership, sample publications and contact information. This site is of value to anyone involved in the agriculture industry, especially those in Atlantic Canada. The mandate of S.H.A.R.E Agriculture Foundation is to enable impoverished communities in developing countries to improve their quality of life and provide a better future for their children through sustainable agriculturally based projects. A one stop shop for everything to do with Llamas. Listed on The Boardwatch 100 Web sites List. The water buffalo is an animal resource whose potential seems to have been barely recognized. A nonprofit citizen-based NGO that advocates adoption of ecologically sound practices in place of pesticide use. PANNA works with over 120 affiliated organizations in Canada, Mexico and the U.S. Contains facts about Grannys, products,news, lifestyle tips, recipes & Contests! Site contains recipes, nutritional information, from farm to table facts, and contact information. The Better Farming team has shared this link to assist Ms. Martin's class with an assignment. A full range of in-field data collection software linked to the positioning information of GPS. Learn more about what the Canadian Sheep Federation and its OVISSEY Centre do for the industry.